NOTE: Monthly Eblast Updates are sent to current OAGS members only. Refer to our Members Only page. June, 2018 - New Poll!! - Relativity: What are GenSurg under/over-valued codes? - See below. June, 2018 - Attn. GenSurg Residents: Good luck on your exam results and pending job search! Feb 19, 2018 - February Eblast is now available to OAGS members. Please check your email. 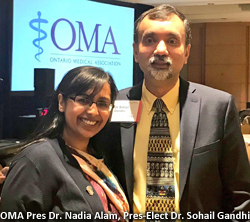 Dr. Harshad Telang, MD, FRCSC of Thunder Bay, ON succeeded Dr. Alice Wei upon completing her term as OAGS President during a recent OAGS Board Meeting (Feb.3). Dr. Wei will remain on the OAGS Board in the position of Past President along with a few other minor changes to the board. 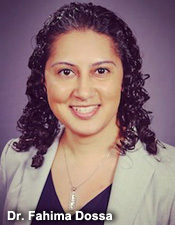 Dr. Telang's biography and other Officer/Committee shuffles can be found here. Check out our Healthy Surgeon section for Helpful Resources/Contacts for Physician Burnout. Nov.3 - Deadline to Register for 23rd OAGS Annual Meeting - Register Now! Aug/2017 - Check your email/Members Only Section for the most recent August Eblast Update. June 19, 2017 - The results are in! OMA members voted 65% to 35% in favour of ratifying the Binding Arbitration Framework Agreement on June 17. Now the OMA/MOHLTC can move on and begin negotiating a new contract for Ontario's Doctors no later than September 1st, 2017. Mar. 7, 2017 - Deadline for OMA Elections. Feb. 7, 2017 - After careful consideration of the recent Special Council voting results, the OMA President and Executive have since decided to resign their positions (Feb.6). The OMA Board at Large will assume position of power until an election during the next OMA Council Meeting on May 6-7 in Toronto. Jan, 2017 - Happy New Year! Best wishes to all our Ontario General Surgeons and their families for 2017 ...from all of us here at the OAGS. Dec, 2016 - OAGS 23rd Annual Meeting - It's official. This year's annual meeting in Toronto is now confirmed for Saturday, November 11, 2017. Please mark your calendar! An additional $185 million in compensation to family doctors. A 'fairness review' of fees paid to physicians, to reflect technological advancements and ensure that all doctors are equitably compensated. Increasing to 1,440 the number of family doctors able to join models that deliver comprehensive care to patients over the course of the proposed plan. Note: The current contract under which doctors are paid expires on March 31, 2017. It was imposed by the gov't after it failed to reach a negotiated deal with the OMA. - CBC Sources: MOHLTC Press Release; CBC; Toronto Star; OMA Press Release. November, 2016 - 22nd OAGS Annual Meeting: Thanks to everyone who attended/participated in our meeting recently. We had a great turn-out and hope it was enjoyed by all! September 2016: Negotiations - As of Sept.1 - Just last month, the OMA announced that the members voted 63.1% AGAINST the tentative Physician Services Agreement (tPSA). Of those who attended in person and voted via proxy, there was a 55% participation rate amongst OMA members in total. This result came after the OMA held a General Meeting of Members on Sunday (Aug.14) in Toronto. The third-party scrutineer and tabulator, Computershare, facilitated the vote along with ballot verification and tabulation. The OMA has accepted the final membership vote as binding and has since met with the board and its newly formed Strategic Working Group (SWG). Subsequently, the OMA wrote a letter to the Ministry of Health requesting to meet with Minister Eric Hoskins and Premier Kathleen Wynne to discuss binding arbitration and future negotiations. Minister Hoskins responded with conditions of its own. 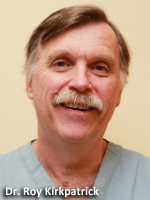 May, 2016: Belated Congratulations to General Surgeon and former OAGS/Section board member Dr. Frank G.H. Baillie of McMaster University. He was awarded the prestigious Meritorious Service Decoration (Civil Division) by His Excellency the Right Honourable David Johnston, Governor General of Canada at Rideau Hall back in December 11, 2015. Following the success of his REACH program (Regional Emergency Access to On-Call Health Professionals) withinin central west Ontario in the 80's, Dr. Baillie championed the creation of Canada's first central bed registry - an invaluable resource for managing emergency patient referrals. By April 1996, CritiCall Ontario became the province's only patient referral program. Today, CritiCall Ontario is based in Hamilton with satellite offices throughout the province and funded by the Ontario MOHLTC. May 13, 2016: OMA urges members to write Ottawa to oppose federal budget, which proposes to eliminate the ability of professional corporations owned by physicians that practice in a partnership or a corporate structure to each claim the full $500,000 small business deduction (SBD). The budget proposes that these members share this $500,000 limit among their professional corporations. This will be problematic for many members who work in group arrangements. Apr.25: MOHLTC will "consider" mediation arbitration in a letter addressed to the OMA. Feb, 2016 - OAGS wants to thank all General Surgery Residents within Ontario. It's Resident Awareness Week: Feb.15-19. 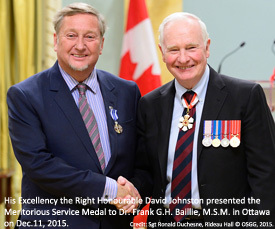 Dec, 2015 - Belated congratulations to McMaster General Surgeon and former OAGS brd member Dr. Frank Baillie who received the Governor General Meritorious Service Decoration for spearheading the CritiCall Ontario program. July, 2015 - Schedule of Benefits codes specific to General Surgery can now be downloaded from our site. July, 2015 - Back issues of The Cutting Edge newsletter and Billing Corner column are now available in the Members Only page. This page is password-protected for current OAGS members only. Be sure to renew your dues! June, 2015 - Quality Management Partnership is looking for a new Colonoscopy Lead. Click here for complete job description details. Deadline for applications is July 20 at 5pm. May, 2015 - OAGS new website is launched. 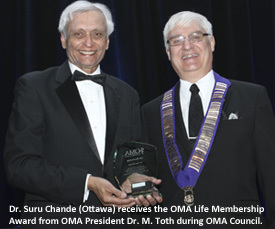 May, 2015 - General Surgeon Dr. Ved Tandan completes his successful term as OMA President and continues on the OMA board as Past President. Congratulations! 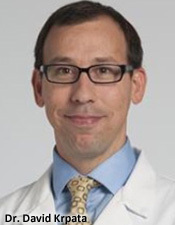 April 2015 - Dr. Patrick Murphy (UWO, PGY2) becomes the new OAGS Resident Representative. Dr. Kellen Kieffer (NOSM) completes his term as Res Rep with us as well as his residency program. Good luck on your General Surgery career in Hanover, Ontario! 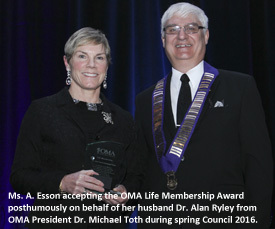 Feb.2015 - OMA 2015 Awards Announcement: Dr. Angus Maciver receives the OMA Life Membership Award; Dr. Robin McLeod earns Section Service Award. Congratulations to both of you!